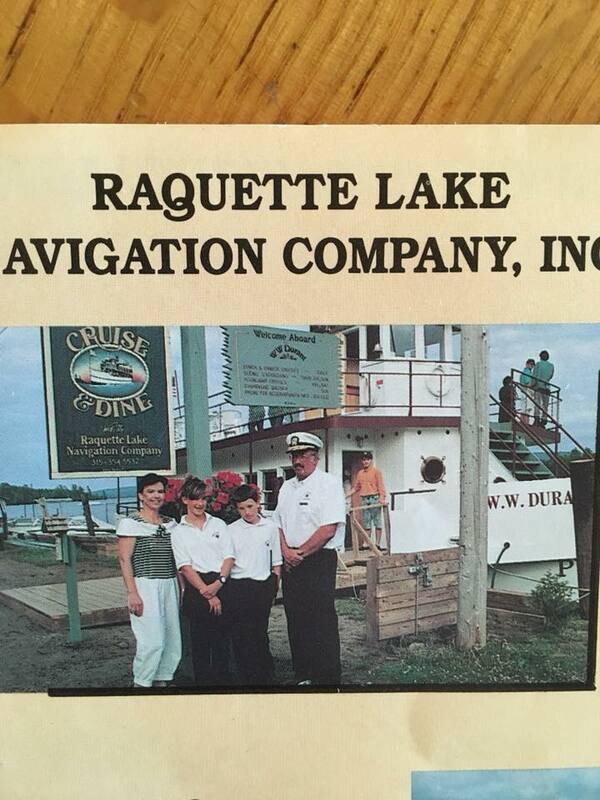 We thank you and our staff over the years for enabling us to reach and complete a 28th season cruising and dining on Raquette Lake. “…around half of all businesses no longer exist after five years. Only one-third make it past their 10th anniversary. These statistics have been remarkably consistent through the years. Interestingly, major economic downturns don’t seem to affect the survival rates for new businesses. We’re aware of the statistics. We are grateful we are not in the group of failures. We are optimistic about the future continued success of Raquette Lake Navigation. Rest assured. We know who our partners are and we know we wouldn’t be here today without the support and loyalty of our many customers and staff. We begin cruising Memorial Day weekend, May 25, 2019. Cruising daily begins June 24, 2019 and continues through Labor Day, September 2, 2019. From Labor Day through Columbus Day, October 14, we have a full schedule on weekends (Sat lunch, excursion and dinner plus Sun Champagne brunch) and cruise with preformed groups midweek. Individuals are welcome to “piggyback” with preformed groups, pending availability and if appropriate (i.e. not a private party). We require only a minimum of 20 to schedule a preformed group cruise, so don’t hesitate to get a group of friends together and plan a cruise on the WW Durant. Could be a tasting or pairing cruise; a dance cruise or one of our traditional luncheon or dinner cruises. The excuses for such a cruise could be anything: birthday, anniversary, reunion, graduation, or just because. It’s not too early to book for next year. If you have certain dates you know you’re in the area, give us a call and book your reservations. Not to worry. We have a 24 hr cancellation policy. So if things change, you can always cancel up to 24 hours before the cruise. Brides and grooms- consider saying your vows with a view. Book your wedding and reception on the WW Durant. I can sharpen my pencil if you book your private charter sometime between Memorial Day weekend and June 23 OR Mon-Friday in Sept or Oct.
And finally, think about who you need to buy Christmas and Hanukkah presents for. A gift certificate for a cruise and dine experience is the perfect gift. AND you’ll be supporting a family-owned and operated local small business!